Give Me Your Attention…and Your Heart & Sole! It’s February – National Heart Month! For a cardiologist, it’s a great time of year because everyone is focused on heart health…something you should be doing 12 months out of the year. But I’m not going to lecture you about your heart today…at least not in the way you might think. But I will bring up your heart – as in my special project this month: “Heart & Sole.” In observance of National Heart Month, all throughout February NanoHealth Associates is spearheading the collection of donated, new and worn shoes to benefit Shoes for the Cure, a professional company that specializes in collecting used footwear for recycling and new footwear for donation. We’re partnering with Shoes for the Cure during Heart Month because their philosophy is so consistent with my own goal, and their tagline, “Have a soul, give a sole, save a sole,” well…it really resonates with me. 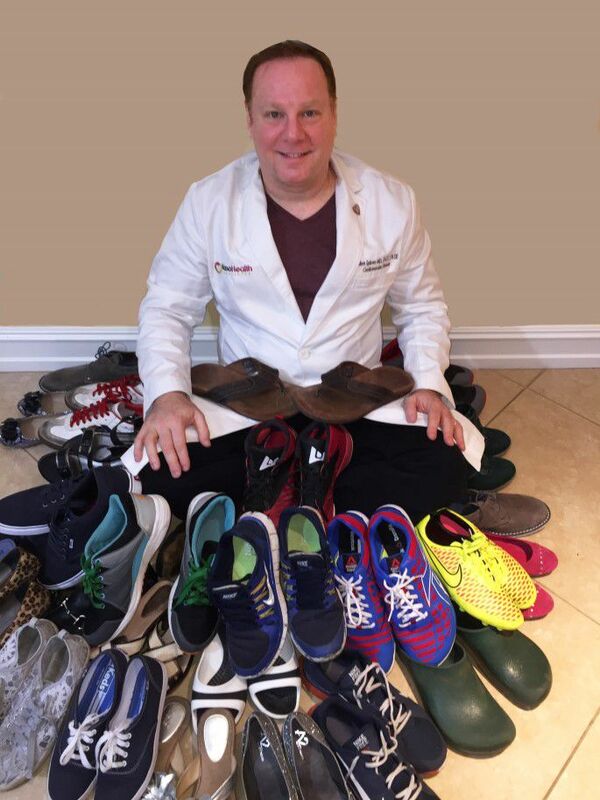 When the collection ends on March 1, a check will be mailed to the American Heart Association based on the number of donated shoes we receive. As a physician who believes the heart is the epicenter of each patient’s overall health, I hope it resonates with area residents and businesses, too. I’d like them to consider donating athletic shoes as part of their charitable giving to help promote heart-healthy exercises and activities among the area’s youth. I’m also offering my heartfelt thanks to Youfit Health Club Hollywood, where I routinely work out, and Weinbaum Yeshiva High School in Boca Raton, which embraces a legacy of community outreach. Both quickly endorsed my “Heart & Sole” campaign and have “Shoes for the Cure” collection bins set up to accept donations of new or worn shoes, slippers, boots and sneakers. I’m thrilled to have their support in spreading the word about the importance of good heart health during National Heart Month, while supporting a very worthwhile organization. I hope we can count on your support as well.